This 20 page excerpt from my book, ADD to Done: Beyond Stuck, Procrastination and Overwhelm, is a complete PDF workbook in itself. 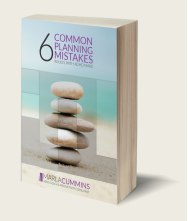 You will learn about six common planning mistakes that Adults with ADHD make (and how to fix them). These are the same strategies my clients use to help them pave their way to success. The exercises included will help you create an environment that will support you in reaching your goals more effectively and efficiently. Go ahead, join the thousands of other subscribers. Look forward to having you on board. Just wanted to say that your newsletters are really great. Always relevant, warm and wise! Thank you! Pop in your name & email below!